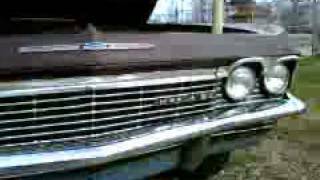 1965 Chevrolet Impala Barn Find V8 283 with Powerglide transmission. Thanks for watching! Don't forget to click on SUBSCRIBE to follow. More videos on DREAMGOATINC and more to come....DGTV. 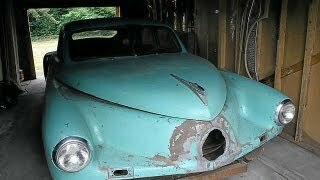 If the frame isn't rusted away, I'd like to see that car restored. Waste of what used to be a fine car. Not a very good video. 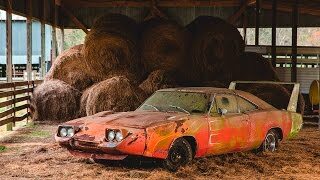 That aint no barn find. 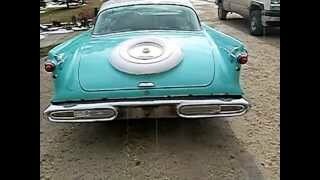 This is what happens when people watch to many tv car shows. 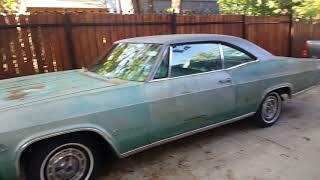 These cars were very commonplaceback then.... Back from 1973 till 1977 I junked cars.I got some pretty nice cars cheap to FREE...People wanted them out of the yard or garage.I got a red 1966 Impala SS 327 4spd ($40), My brother junked cars then as well ..His wrecker needed an engine..the Impala needed a left fender...brakes out..I decided to let him have the motor...sold the transmission to a circle track racer...the one car I really regret sending to the scrap yard...But I had 2 little girls and a Wife to feed...miss those days with my kids..
From the looks of how deep the wheels are in the ground and the rusty air cleaner I'd give the frame a close look before pulling out my wallet. Thanks for your comment. Be sure to Share and Subscribe to DREAMGOATINC on YouTube. 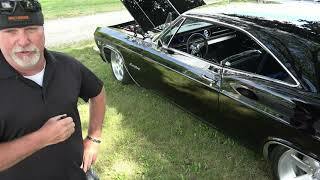 Not very many options, other than the small v8, impala trim option. A basic car, that wasn't well preserved. Looks like it could be restored though. Nice color combo, and a good looking car for sure. 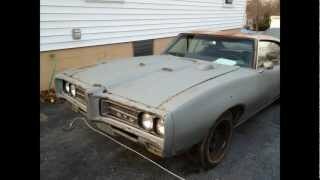 Bought it for parts?Are you crazy?? 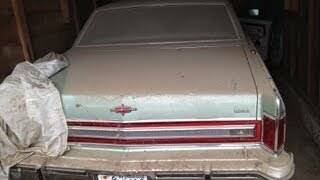 Will this Chevy go sometime? if its a cheby just close the door and walk away !!! Thanks for your comment. Be sure to Subscribe to DREAMGOATINC on YouTube. Thanks for watching! It's only an impala just leave it there. Where's the Winchesters at ???? Not here, they're in their dumpy 67'. too much for a rust bucket. Did you buy this gem? 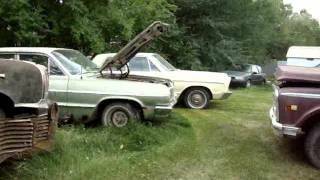 mountendew pa, two sister cars... Theyre still alive and kicking. Overall, this one looks like an excellent candidate for restoration, rust does not look too bad, it appears to be pretty straight and intact. 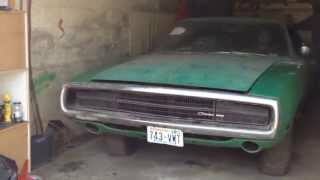 The engine compartment will probably be about the easiest to be able to find replacement parts for. 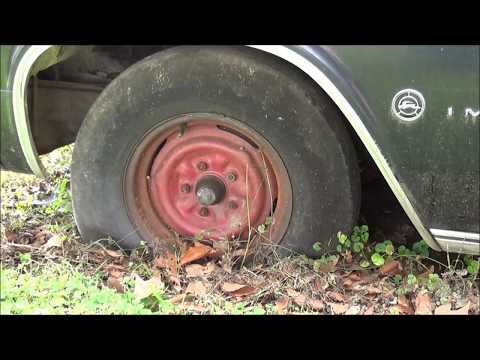 I'm guessing those wheels are not original, as when you had full wheel covers, you got black wheels, and when you did get a color other than black it was the primary body color. Obviously that's a minor detail. 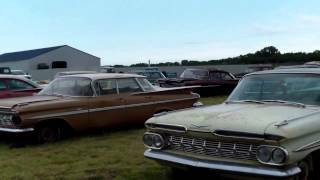 One thing about these old cars; you want to park them in the sun, keep them nice and dry. 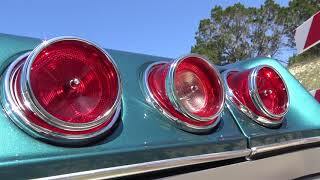 Oooo That Tail lamps,American Beauty !! 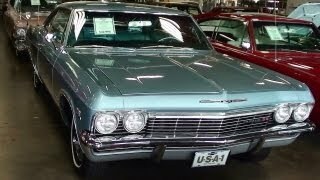 The very first American car I ever saw (I now know) was a red 1965 Chevrolet Impala convertible, parked in a street in Horsham, West Sussex. That was in the early seventies. 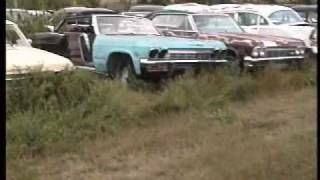 And the start of a life-long love affair with American cars. This upload sent a tingle up my spine. Good luck and I hope she sees the roads again. 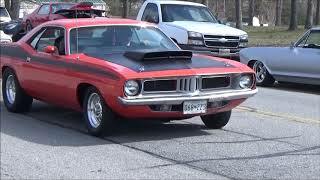 It is not like your thinking :) It is a reference to the GTO nickname goat. I get that a lot no farm animals were harmed. Thanks for sharing! Spread the word about channel. 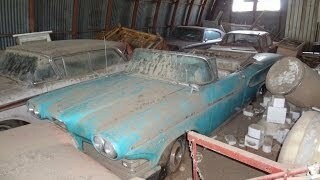 1957 imperial 392 hemi barn find! 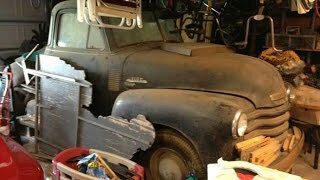 Texas Barn Find Survivor 1953 Chevy Truck 40+ Years! 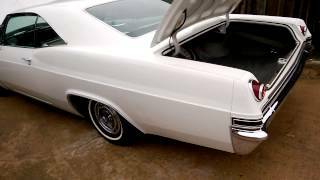 1965 IMPALA SS RARE! FOR SALE!